Suzuki’s stand at the Tokyo Motor Show features some cars that are just a bit of fun and some that are much more relevant. 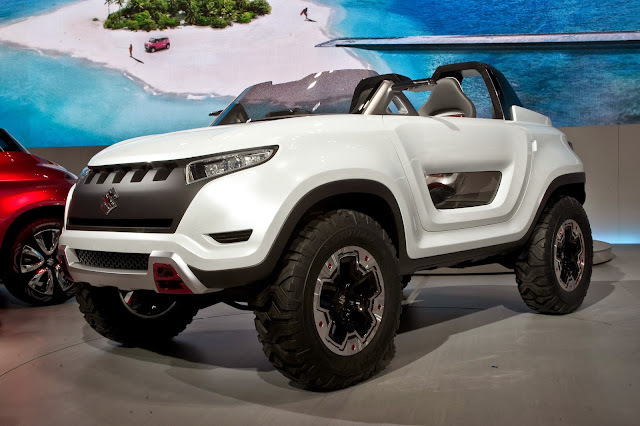 Suzuki is famous for its Tonka Toy-like SUV’s and they don’t come much more Tonka-ish that the X-LANDER. While my inner six year-old wants to push it round the garden, there’s some proper engineering going on underneath. It uses a 1.3-litre petrol with a electric motor built onto the AWD drivetrain. So though it’s based on the same chassis as the ancient Jimny, its fuel efficiency is bang up to date. 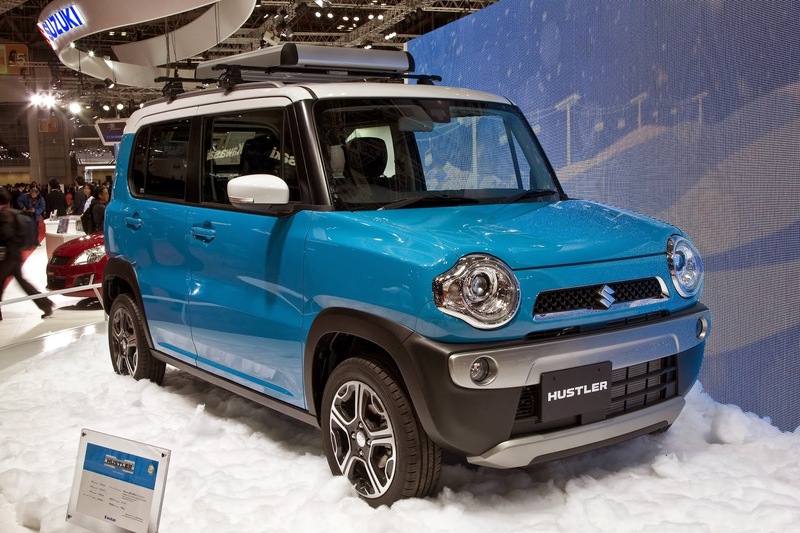 Suzuki doesn’t have a Nissan Juke rival yet, but the Crosshiker could be it. It has a new 1-litre, 3-cylinder engine and weighs just 810kg. 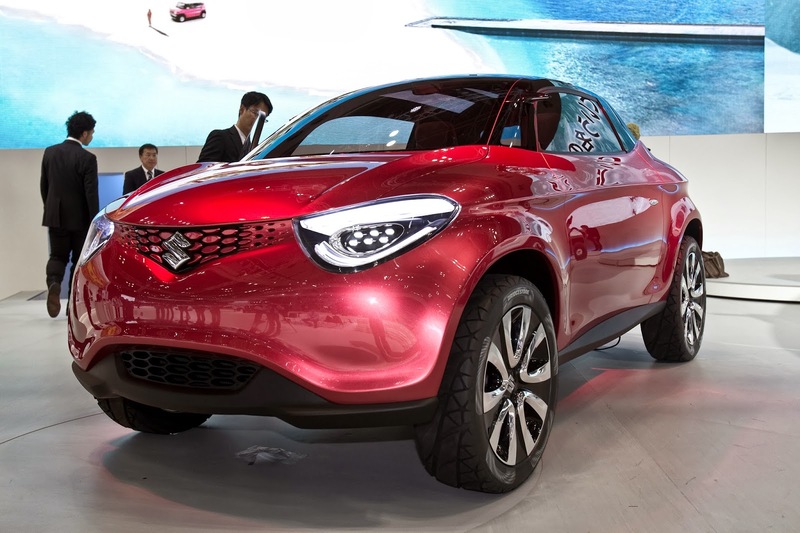 It’s unlikely a production version would be that light, but it is based on Suzuki’s new lightweight G70 platform. The current Grand Vitara is getting rather long in the tooth now, but it’ll be replaced by the production iV-4 sometime in 2015. We’ve seen it a few times already this year and at Tokyo it looks more-or-less production-ready. 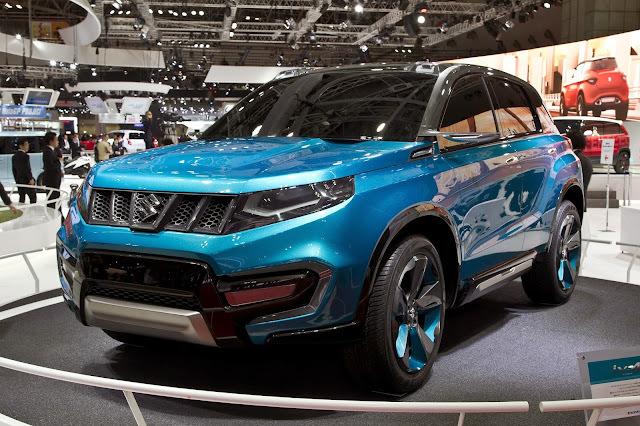 The new Grand Vitara will wade into battle with the Nissan Qashqai sporting Suzuki’s next-gen ALLGRIP four-wheel-drive system.